Parents to Be – Congratulations! Choosing a pediatrician is a very important decision and we appreciate your interest in our practice. We are here to help you navigate one of the most exciting and special times in your lives. First time parents are encouraged to schedule a FREE prenatal visit with one of our providers, where questions are expected and welcomed, as we help you prepare for the exciting journey ahead. We look forward to meeting you at one of our evening prenatal meet the doctor classes held at 5:15pm on various weeknights throughout each month. Our practice philosophy, what to expect at the hospital, your first office visit, preparations you can make before delivery and any questions you have will be discussed in our lively group sessions. You can call us to schedule the next convenient class. 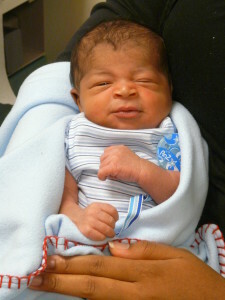 Your baby will be examined within the first 24 hours of birth by one of the staff pediatricians at the area hospitals. You will be given discharge papers and the doctor will communicate with us if there is any specific follow up needed. Once discharged we see babies 1-3 days after going home. When you call to schedule that appointment we will send you information to register on our patient portal, where you can fill out all the new patient forms from home. The information will feed directly into your newborns new electronic medical record and we will be ready for your first visit. Click here to visit our newborn page as you prepare for your new arrival. We are here to support you through the entire process for both domestic and international adoptions. You can schedule a pre-adoption visit to review medical records, discuss travel plans if applicable, learn about our office and have a chance to have your questions answered. These complimentary consult visits are with one of our providers and are typically scheduled at 1:00pm. Call us to schedule an appointment. New Patients – Thanks for choosing us! We are accepting new patients that are new to the area or wish to transfer to our care. Please browse our website and feel free to call us with specific questions. Call to confirm we are accepting your insurance plan. Our staff will input your information and explain how to register on our patient portal to complete your new patient forms. Appointments can be scheduled anytime after the new patient intake forms are complete. Request your previous medical and immunization record and send in or bring to your first appointment. Use this release form to request a copy of your records. Call us to schedule a sick appointment or your next well visit. Tour the office/meet with a provider visits can be arranged by request, typically at 1:00pm.